The Japanese bike maker Kawasaki Motors after launching five new models last month is back with the launch of three more motorcycles, the 2017 Kawasaki Z1000, Kawasaki Z1000R and the Kawasaki Z250. The new Kawasaki Z1000 has price starting from Rs 14.49 lacs, the Z1000R Edition from Rs 15.49 lacs and the affordable Kawasaki Z250 at Rs 3.09 lacs (ex-showroom Delhi). The new 2017 Kawasaki Z1000 is updated with a Euro IV and BS-IV compliant engine along with recalibrated and revised ECU for smoother control and power delivery aimed at ensuring rider comfort. Despite being compliant to the stricter emission norms, the engine does not face any loss in terms of power or torque over the previous model. The 2017 Kawasaki Z1000 continues to be powered by a 1,043cc four-cylinder, DOHC, liquid-cooled engine mated to a six-speed transmission, that churns out an impressive 142bhp of power and 111Nm of peak torque. 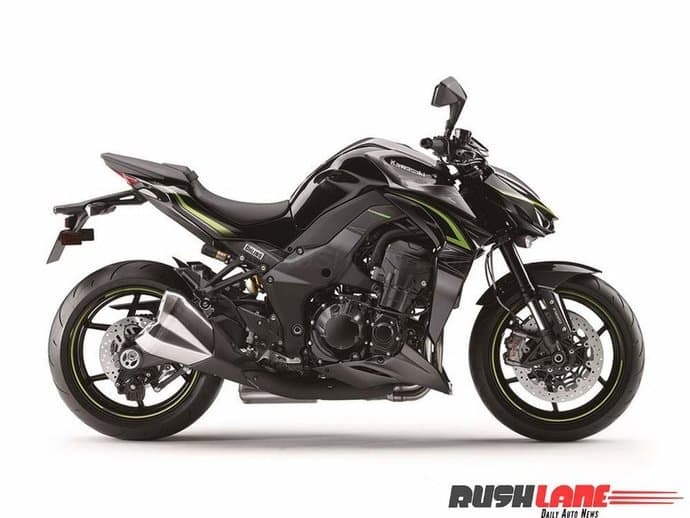 Apart from the engine, the Kawasaki Z1000 gets a revised rear linkage that increases the wheel travel by 13mm resulting in an improved shock absorption and an updated instrument cluster which now feature a shift light and gear position indicator. Coming to the costlier Kawasaki Z1000R, it sports the same litre-class engine as the Kawasaki Z1000, but is loaded with a few extra goodies. There is the 310mm floating front brake discs with Brembo M50 radial-mounted monobloc calipers and a new Ohlins S46DR1S gas-charged fully adjustable rear mono shock with remote preload adjuster. It also comes with an adjustable shift-up light illuminating the rev counter and a dedicated body graphics package. Next up is the most affordable Kawasaki motorcycle in India, the Kawasaki Z250. It is also the smallest displacement bike in the entire Kawasaki lineup. In 2017, this quarter-litre roadster gets a few mechanical upgrades complying with the stricter BS-IV emission norms and is also offered in a new paint scheme. 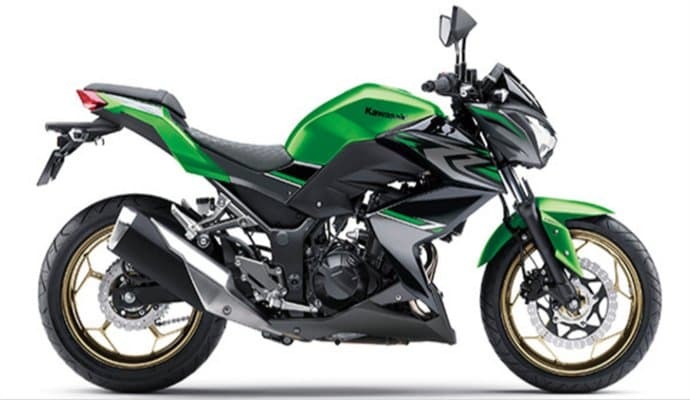 The Kawasaki Z250 is powered by the same 249cc fuel injected liquid cooled parallel twin engine, mated to a 6-speed transmission developing 32bhp of power at 11,000rpm and a peak torque of 21Nm at 10,000rpm. It performs the 0-100kmph sprint in 8.2 seconds and offers a top speed of 165kmph. 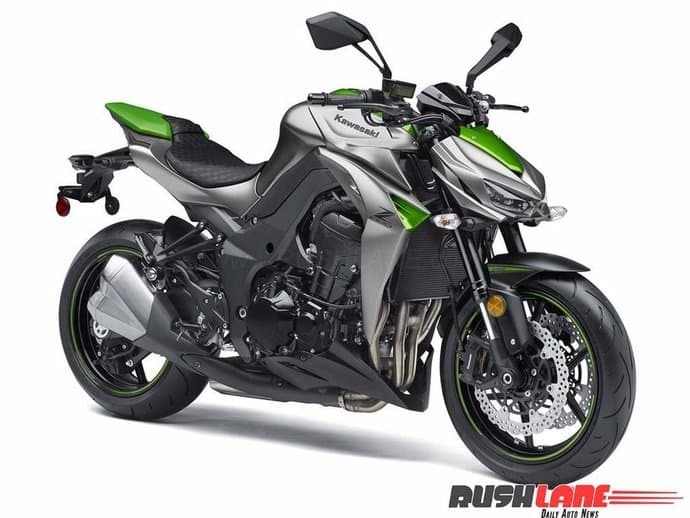 Though the pricing is kept low when compared to the outgoing model, the 2017 Kawasaki Z250 misses out on the Anti-lock Brake System (ABS) as it is not even offered as an option with this version.